Do you participate in Meatless Monday? Are you a vegetarian or vegan? Here's a really easy meal! My soy-free meat-alternatives are my Black Bean Patties and Red Bean Burgers. 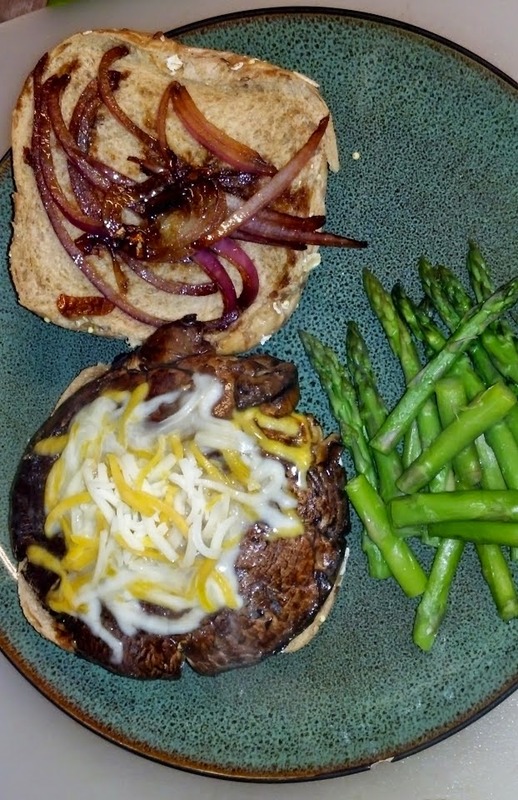 Saturday I made this Portobello Burger for the first time and it was love at first bite. Even my carnivore husband liked this "burger." Toast rolls or buns, top portobello burger with cheese and serve hot! 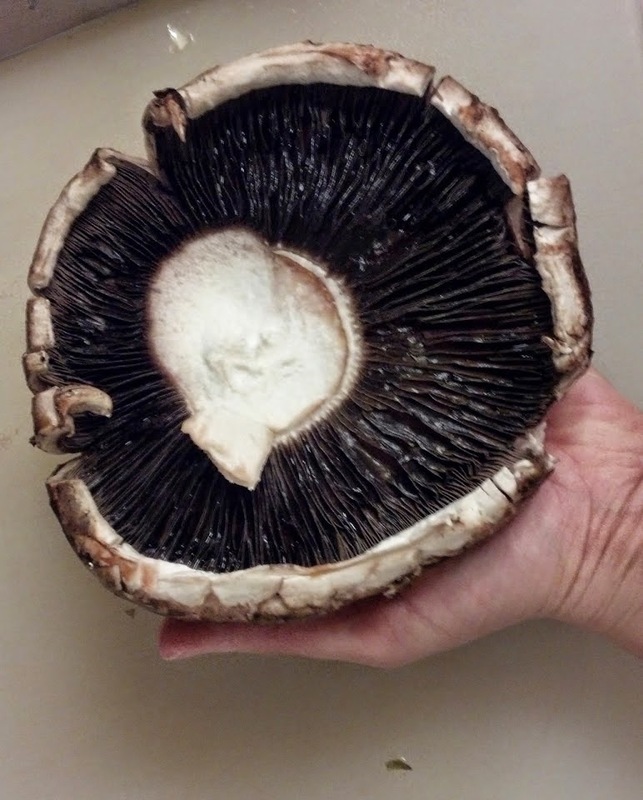 My hands are small but this Portobello cap is HUGE!